Lampasas Police Dept. blotter for Friday showed a very busy day with suspicious activity reported in the 1300 block of W. Ave. C at 4am, a reckless driver was reported on CTE at 7:51am. 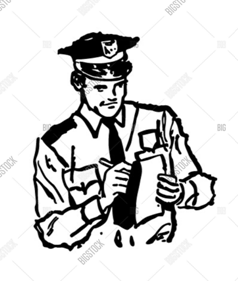 A suspicious person was reported in the 500 block of Gamel at 10:43am, a reckless driver in the 1900 block of Hwy 281S at 10:59am and another reckless driver on Hwy 281S at 11:38am. The afternoon brought a 12:47pm arrest in the 300 block of Hwy 281S. A 36 yr old Copperas Cove woman was picked up on a Lampasas Co. warrant for possession of a controlled substance. There were harassment reports in the 1000 block of W. 2nd at 1:08pm and the 900 block of E. 4th at 1:39. A burglary of a habitation was reported from the 800 block of N. Ridge at 2:09pm and fraud was reported in the 1300 block of CTE at 3pm. A minor accident took place in the 400 block of CTE at 3:47pm with no injuries. A theft was reported in the 2200 block of Hwy 281N at 4:14pm and fraud in the 1000 block of W. North at 4:45pm. There was another theft in the 1700 block of CTE at 5:52pm and a shots fired report in the 1500 block of E. 3rd at 5:55pm. Reckless drivers were reported in the 800 block of S. Key at 6:19pm and Hwy 281N at 7:36pm and on Hwy 183S at 10:43pm. The Sheriff’s Dept. Blotter shows Lometa with a livestock call and an animal bite. Kempner had a call about a suicidal person between traffic stops, and Copperas Cove had a livestock problem. Out in the County deputies had an abandoned vehicle, a report of a reckless driver and numerous traffic stops. The Burn Ban is lifted until Sunday at 7pm. Older PostIt’s Over! But just wait’ll next year!